KIEV, Ukraine -- Two years after Ukraine’s “Second Maidan,” the protests that grew into a popular uprising, we find ourselves in the very same stalemate that we’ve encountered after the “First Maidan,” when Ukrainians refused to accept a fraudulent election in 2004. A memorial for Maidan activists or "Heroes of the Heavenly Hundred", who were killed on the Maidan during anti-government protests, in downtown Kiev, Ukraine is held on Feb. 17, 2016. This week Ukrainians mark the second anniversary of the shooting of activists Euromaidan or Revolution of Dignity. Institutions of power are deadlocked, and reforms are stalled. It would not be an exaggeration to say the country is facing the biggest crisis since its declaration of independence in 1991. The Ukrainian system is broken. From the standpoint of those who came to the Maidan two years ago, the accomplishments of the current government are very weak. The same politicians are enmeshed in an all-too-familiar proxy war, each lobbing accusations of corruption at the other. Instead of any real change, we have unbridled ambitions clashing with one another while the country flounders. There is corruption in government, war continues in the country’s east, and disagreements between political “allies” on the vying teams of the president and the prime minister make the real work of government impossible. A few weeks ago, the economy minister, Aivaras Abromavicius, a Lithuanian nominally unaffiliated with Ukrainian politics, resigned because he said it was impossible to achieve reform under such conditions. He also pointed to specific figures in both the presidential administration and cabinet of ministers whose personal interests blocked progress. Among Ukraine’s Western partners there are some who back the current duopoly and try to look at the bright side. The IMF-recommended budget passed last fall, as did the amendments to the tax code. The state’s external debt has been restructured, for now anyhow. And an anti-corruption agency has been set up, but not activated. It is crucial that those who wish the country well understand that individuals can not save Ukraine; a system less bound to conflict can. Ukraine desperately needs to achieve several results that are far more important than the ambitions of either the president or the prime minister. These include ending the war, conducting real economic reforms, adoption a new constitutional model that would allow for actual decentralization, reforming the judicial system and creating an efficient system of managing the country. Politicians must harness their ambitions and do everything they can to ensure that the country does not fall into the trap of repeating the mistakes of the past and instead moves away from the brink of economic and humanitarian catastrophe. Reform, so elusive to Ukrainians until now, is not an end result, but rather a process that ultimately leads to an improvement in the quality of life for Ukrainians. The essential component of making this process possible, according to Abromavicius, is to change the way government institutions interact with one another. And that requires changing the constitution. Unlike past efforts to change the constitution, the country can no longer afford superficial changes made behind closed doors. People have good reason by now to distrust the authorities abilities, to fix the broken system by which they’ve profited until now. That’s why the process must be fully open and transparent in a way that others have only pretended to be. The constitutional reform must include redesigning the judicial system. As long as Ukrainian judicial system stays a hostage of current political infighting, citizens will never see the benefits of the rule of law. Looking at the history of political transitions in Eastern European countries, one can find very few examples of a successful “lustration”—a purge of civil servants who worked under the previous government—and yet a fraction of Ukraine’s officials have made a fetish out of this term. In reality, lustration in Ukraine has become a cover for new corrupt officials and a tool for suppressing political opponents—a modern version of witch-hunt—and a perpetuation of un-ending political games. In a recent analysis, independent economist Timothy Ash suggested that the best way for rule of law to take root in Ukraine is for politicians to stop using the pretense of it as a weapon against one another. Ukraine’s success lies in the creation of an efficient economy and a business environment that would attract investment. Investments will flow into the country only when rule of law protects them from readership. In order to conduct reforms, a solid foundation is needed—peace in Ukraine. For all its imperfections, the Minsk process, conceived by Ukraine, Russia, France and Germany and overseen by the Organization for Security and Cooperation in Europe, offers a path to peace. The most controversial aspect is granting some limited autonomy to some parts of Donetsk and Luhansk oblasts. This issue polarizes Ukrainian society to such an extent many cannot see the logical benefits. Should Kiev take this opportunity and conduct real decentralization, loosening its influence on all regions, more broadly than just Donetsk and Luhansk oblasts, then all regions of this country could start putting more of their own resources into practical reforms, curb corruption and allow the business climate to grow. It is this, not the superficial decentralization that the government proposed without deliberation or debate, that is the key to a Ukrainian renaissance. 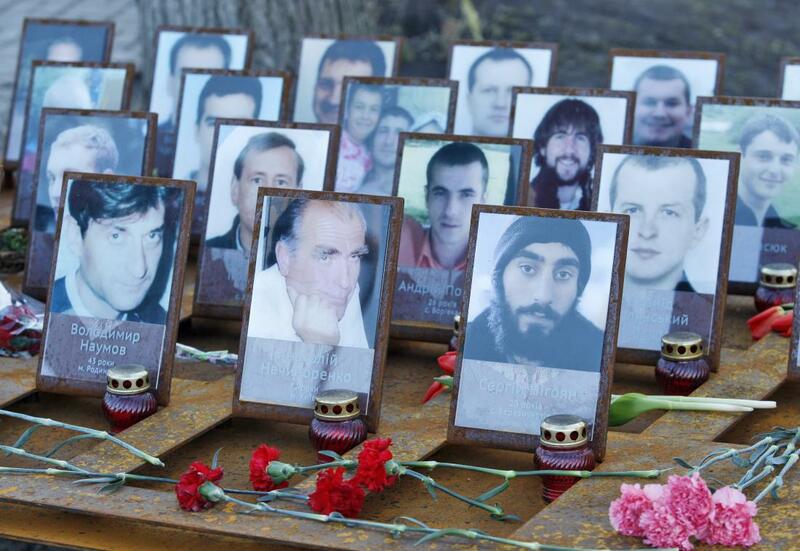 During the Maidan protests, hundreds died. Thousands of Ukrainians have been killed in the fighting in Donbass. The last two years have not changed the country. The memory of those who made the ultimate sacrifice for a better nation is poorly served by the degradation of the moment. Despite the difficulties and obstacles, the country now has a real chance to fix the dysfunctional system.